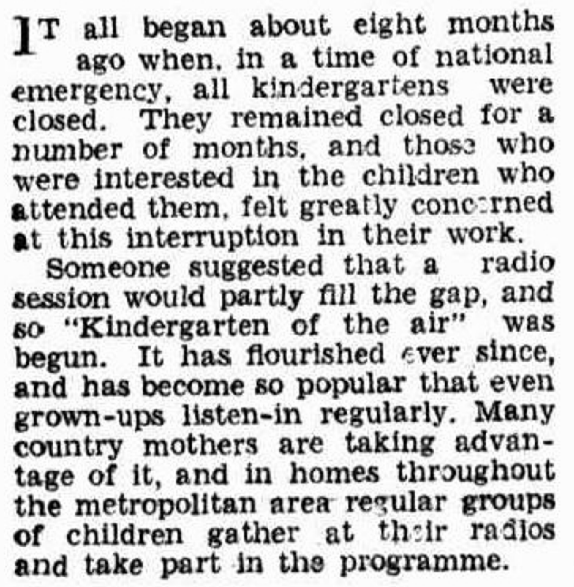 It was the fear of air raids and the subsequent closure of kindergartens in Western Australia that led to a ‘kindergarten of the air’ being established in 1942. The Western Mail – 19 November 1942. 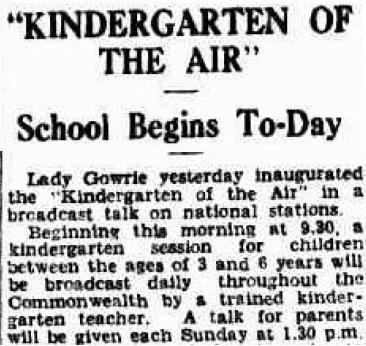 It proved so popular, the program was nationalised and broadcast from Sydney in 1943. Sydney Morning Herald – 3 May 1943. The De Lissa Institute Association of Early Childhood Graduates Inc featured Kindergarten of the Air in this 2003 newsletter.